Lemons contain citric acid, which has the ability to dissolve uric acid crystals that form in your joints. These crystals cause gout and other joint problems. Slice the lemon and place the slices in a cheese cloth. Tie it off, and dip the cloth-covered slices in sesame oil for a few minutes. Place the poultice on your knee for ten minutes or so. Apple cider vinegar detoxifies and alkalizes your joints to keep them lubricated and ready to go. Combine all the ingredients and drink on an empty stomach once a day. 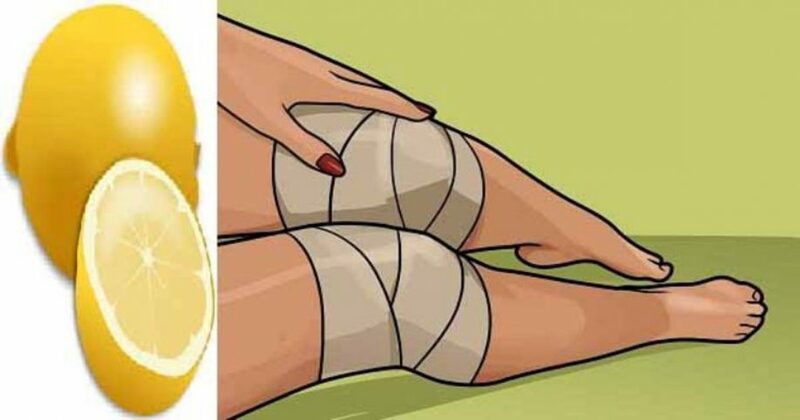 Combine 1 tablespoon of apple cider vinegar with 1 tablespoon of olive oil and apply the mixture to the front, back, and sides of your knee for 30 minutes. Rinse with cold water and massage the area. Hot water eases muscle tension, making it easier for your joints to move freely. Fill your bathtub with hot water, add the vinegar, and stir. Soak for 30 minutes and relax.